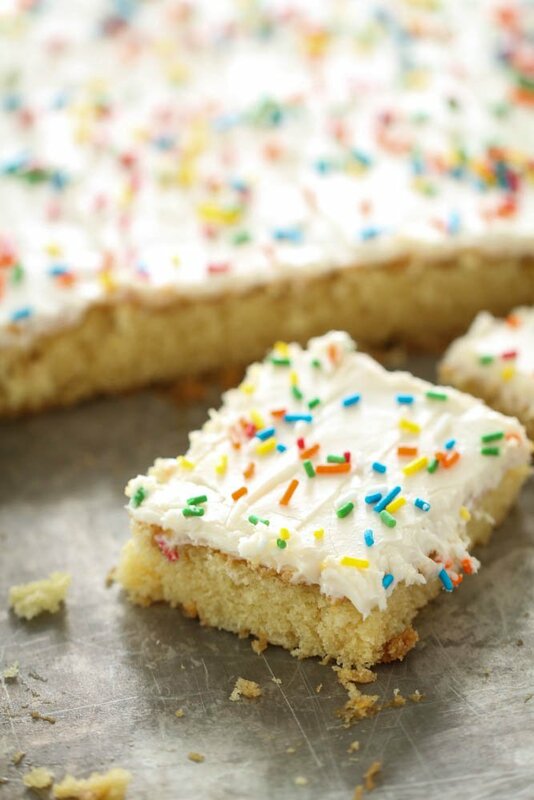 Moist white cake topped with a fluffy vanilla frosting and sprinkles make this White Texas Sheet Cake a dessert that everyone loves! My sister, Camille, made these Texas Sheet Cake Brownies a few years ago and I was instantly on board the Texas Sheet Cake train! Traditional Texas Sheet Cake is a chocolate cake made with buttermilk that is topped with chocolate frosting (like our Texas Sheet Cake Cupcakes). As much as we love chocolate, this White Texas Sheet Cake may be our new go-to homemade cake recipe! This White Texas Sheet Cake makes the perfect birthday cake, potluck dessert or festive dessert for the next holiday! 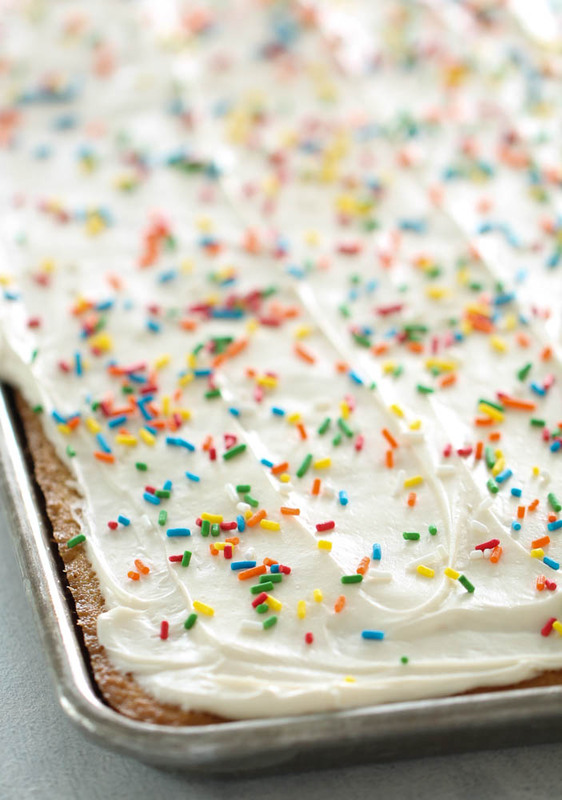 You can easily change up the sprinkles you use to top this sheet cake depending on the season. We love using green and red sprinkles for Christmas or black and orange sprinkles for Halloween. You could also top this cake with mini M&Ms or other small candies. This White Texas Sheet Cake is made to feed a crowd. You can cut this cake into as many slices as you need, but we recommend slicing it into 30 pieces for a big helping of this delicious cake. Besides feeding a crowd, my favorite thing about this White Texas Sheet Cake is that it is easy to make. Unlike traditional cake, this cake is made by bringing butter and water to a boil in a saucepan on the stove then stirring in the remaining cake ingredients. Spread the batter in a half baking sheet that has been generously sprayed with nonstick cooking spray and bake for 20-22 minutes at 375 degrees and let cool completely before frosting. The frosting can be made by simply creaming all of the frosting ingredients together until light and fluffy. 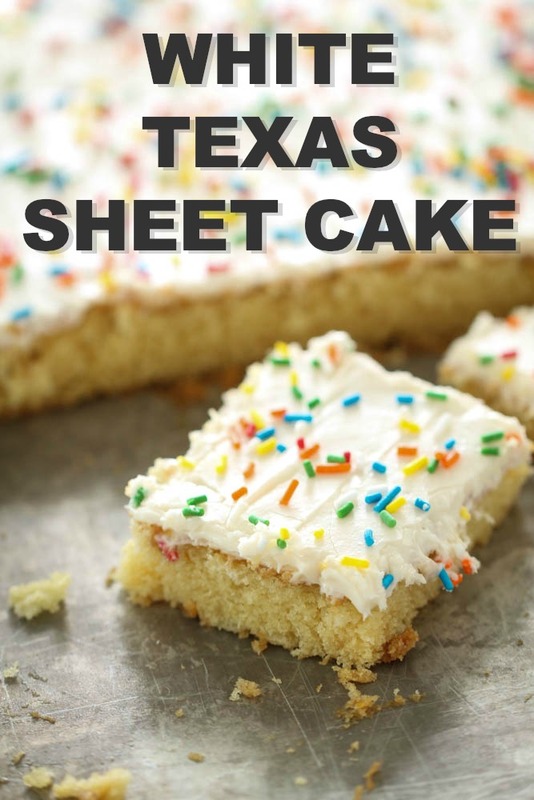 Can you freeze Texas Sheet Cake? Yes! You can freeze this White Texas Sheet Cake by covering it tightly with plastic wrap and then covering it in foil then placing it in the freezer. Let it thaw at room temperature before serving. Store this cake (covered) for 3 days at room temperature or for one week in the fridge. Place one cup butter and water in a large saucepan and bring to a boil. Remove saucepan from heat and stir in flour, sugar, eggs, sour cream, almond extract, salt, and baking soda until smooth. Pour batter into a baking sheet (18 x 13 x 1-inch) sprayed with nonstick cooking spray. Bake for 20-22 minutes or until cake is golden brown. Let cool for 20-30 minutes. For the frosting, cream together cream cheese, butter and vanilla together. Add powdered sugar and beat until light and fluffy. I love Texas sheet cake. Three cheers for cake! Thanks Emily! Have a great night! The cake looks tasty. What is the source for the recipe? Is it your original recipe that you developed? Texas sheet cakes are amazing! Your cakes always look amazing! That face book comment could have come from my M-I=L, who is known to be quite blunt about her body image ideas, but has also been caught sneaking into my cookie jar when she thought no one was watching!! Your family recipes are fantastic and so very appreciated. Keep up the great work and thanks for this cake recipe. I'm heading to the kitchen to make it now, and will add green coloring to the frosting for a St. Patrick's Day treat! So, would this be good with coconut in place of the sprinkles? I'm not really a fan of the sprinkles, but I LOVE coconut. I am from Texas and have made this cake - it is delicious IF you cut the sugar in half (at least!) or more. Trust me - it is way too sweet if you make it exactly as the recipes calls for. Can this cake be frozen with the icing? Looking forward to making it!! It should work just fine freezing it with the icing on. this looks delicious! I know its a sheet cake recipe but if I wanted to make a layered round cake, this recipe should yeild for it right? Hi Sarah, We have only made this in the jelly roll pan. So we don't want to tell you that it would work in a layered round cake without having tried it. Sounds delicious! Is it possible to halve the recipe and bake it in a 9x13 pan? It should work. Just watch the cake as it cooks because the cooking time may be slightly different. Could you add fresh berries on top? Berries would be delicious on top of this cake. How many would this serve? It serves about 30 people. You could easily cut them smaller if you needed more servings. 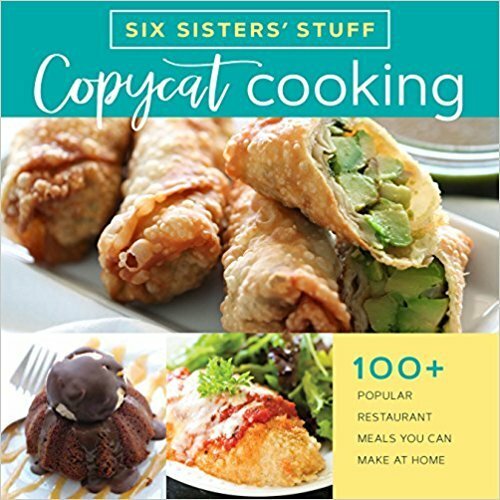 Husband is allergic to almonds can I use vanilla extract instead? Yes, vanilla extract will work great too. My family loved this cake! Thank you so much for posting. Made me feel like I can cook from scratch too! !